This is a question that comes up a lot, so I'm going to show you the method that works for me with Windows 7. 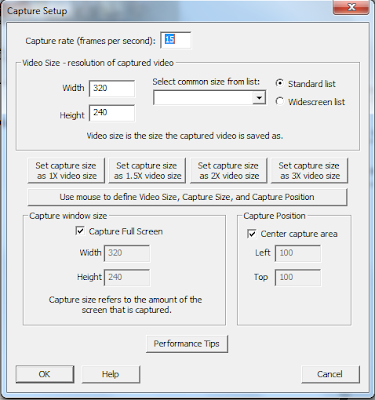 Just a quick overview: Some versions of MAME let you record the keystrokes of your game while you are playing, so you can watch it later or share it with other people who may want to watch, these are recorded in an .inp file. The only drawback is that in order to watch a replay, you must have MAME, it must be a compatible version, and you must have the ROM of the game you are trying to watch. This makes it hard to share your games with most people. So what we're going to do is take the .inp file you have made and convert it to an .avi file for uploading to a video hosting service like Youtube, Veoh, etc. These will both require installing. 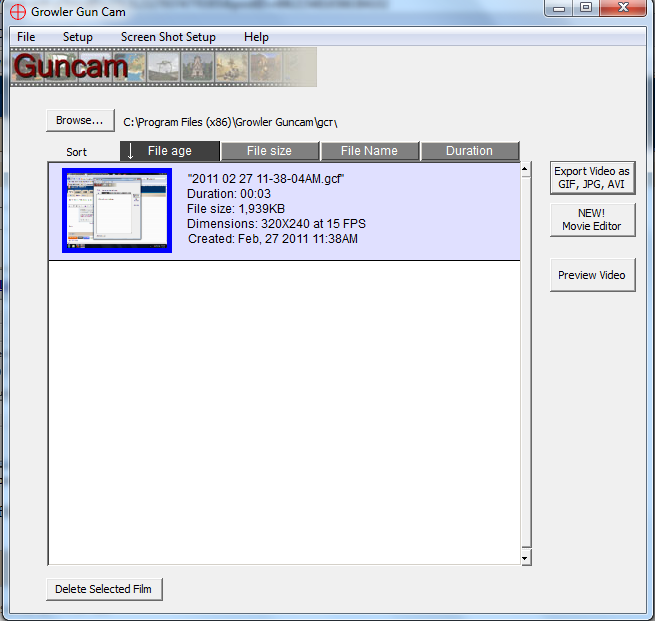 Once you have Growler Guncam running there are some settings you will want to change. 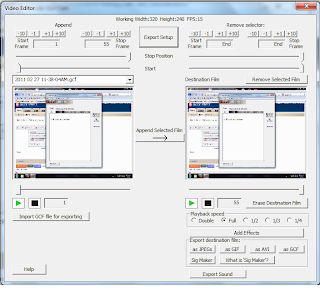 The trigger key tells the software when to start recording and when to stop. 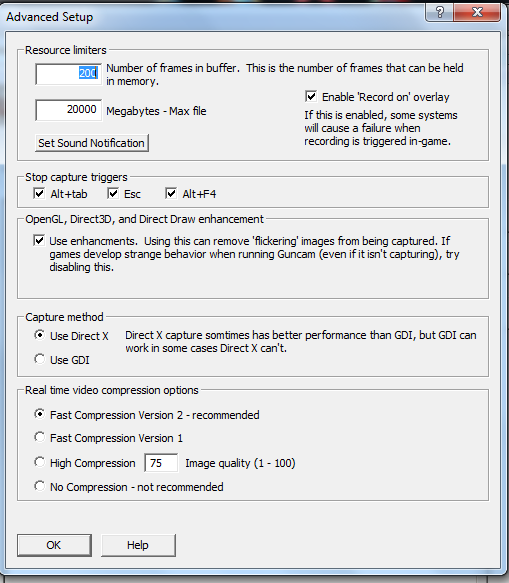 If you are recording a MAME game, the recording automatically stops when you exit the game. With Growler and MAME both running, start your MAME replay and then hit the Trigger key you assigned earlier to start recording. When you are done recording, hit the Trigger key again or just press escape to leave the game and it will stop recording. 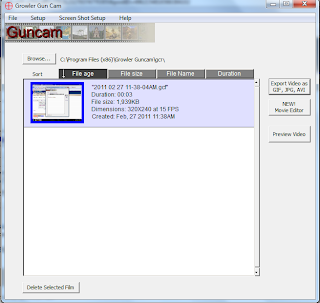 After you've made your movie, it will be saved in a .gcf file format, which will probably be a gigantic file. 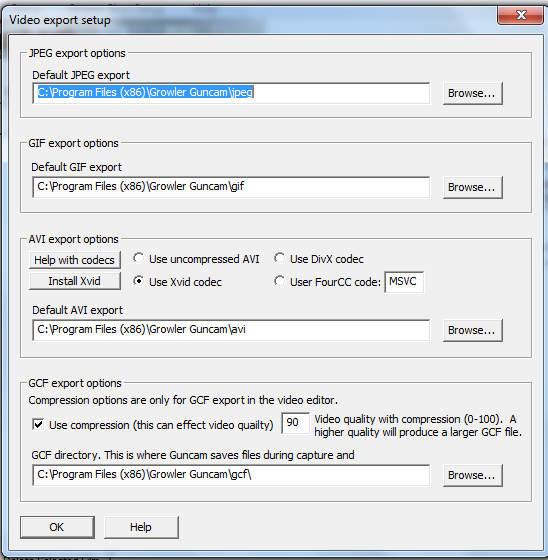 Select your video by clicking it and then click Export Video as GIF, JPG, AVI. At first you will only see a picture in the left frame, click the Append Selected Film arrow in the center and then when you're ready, click the as AVI button in the Export Destination Film. 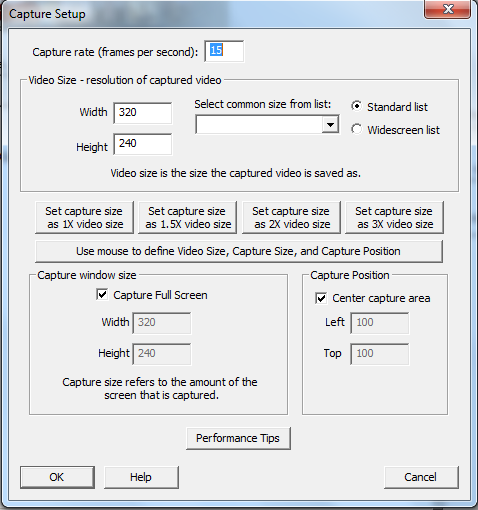 Now you should have a nice little .avi video of your game. 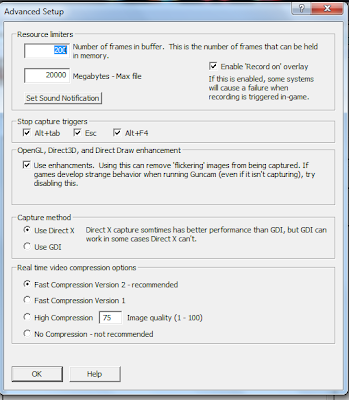 Unfortunately the quality of the video isn't going to look as good as watching in MAME, because of compression, and when you upload to a video hosting site it will be compressed yet again, so you may want to consider not using compression. That's pretty much all there is to it, here are some videos I made with Growler. They don't look super good, but they get the point across. Good luck with your videos and don't forget to delete yor .gcf files after you're done with them, as they tend to take up lots of space!